Davao crocodile Park all started from the fascination of the owner, Mr. Philip Dizon, to Saltwater and Freshwater Crocodiles. He did not think of it as a lucrative business until he learned that crocodiles are raised in United States not just for public viewing but as well as for production of leather purposes. It was in November 1995 when the government has given the owner the accreditation and permit to operate the 1st Davao Crocodile Park. 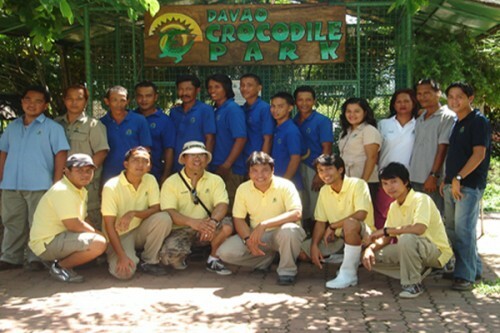 10 years later , on August 18, 2005, the world-class Davao Crocodile Park was opened with the help of the consultant Dr. Gilbert Buenviaje. The Davao Crocodile Park Inc. is owned and operated by a group of businessmen headed by Mr. Sonny Dizon, a resident of Davao City. Davao Crocodile Park is an establishment that showcases a ‘state of the art’ crocodile farming system in the Philippines. It has the most recent crocodile farm design equipped with modern facilities and equipment. The presence of other exotic animal species like raptors, monkeys, bearcats, snakes, birds, and other reptiles makes it one of the most desired tourist destinations in Davao.